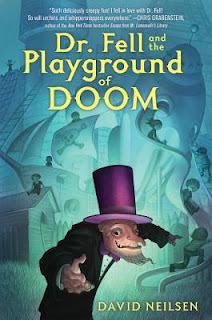 Summary: When the mysterious Dr. Fell moves into the abandoned house that had once been the neighborhood kids’ hangout, he immediately builds a playground to win them over. But as the ever-changing play space becomes bigger and more elaborate, the children and their parents fall deeper under the doctor’s spell. Only Jerry, Nancy, and Gail are immune to the lure of his extravagant wonderland. And they alone notice that when the injuries begin to pile up on the jungle gym, somehow Dr. Fell is able to heal each one with miraculous speed. Now the three children must find a way to uncover the doctor’s secret power without being captivated by his trickery.